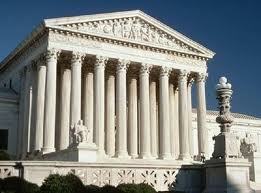 The U.S. Supreme Court will soon be hearing a case involving parental rights and allegations of child abuse. The Court will be hearing a 2003 case involving a caseworker that interviewed a child regarding allegations of sexual abuse by her father, while, allegedly, refusing to allow the mother of the child to be present at the interview and subsequent sexual abuse medical examination. The Mother alleged her Fourth and Fourteenth Amendment rights her violated. However, once the case made its way to the Ninth District Court of Appeals the court ruled partially in favor of the caseworker; ruling he had quasi-judicial immunity. Family Law Attorneys will be all ears while awaiting the Courts ruling.